There is one door here for every style and colorway! Front doors—these are the first things you’d see in a home. But our usual tendency is to make them blend in with our house’s façade. 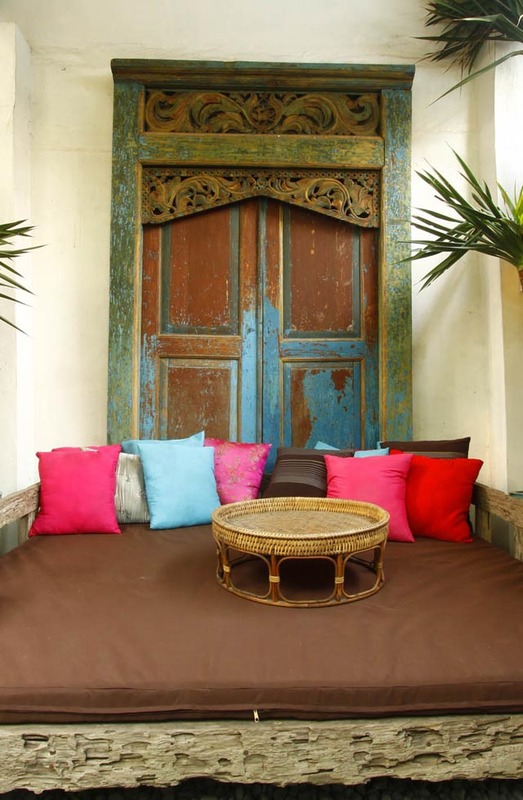 Dr. Rommel Caballes’s front door in his Marikina family home is an antique Balinese door (all the more to go with the Balinese daybed) that is layered with weathered textures and colors. 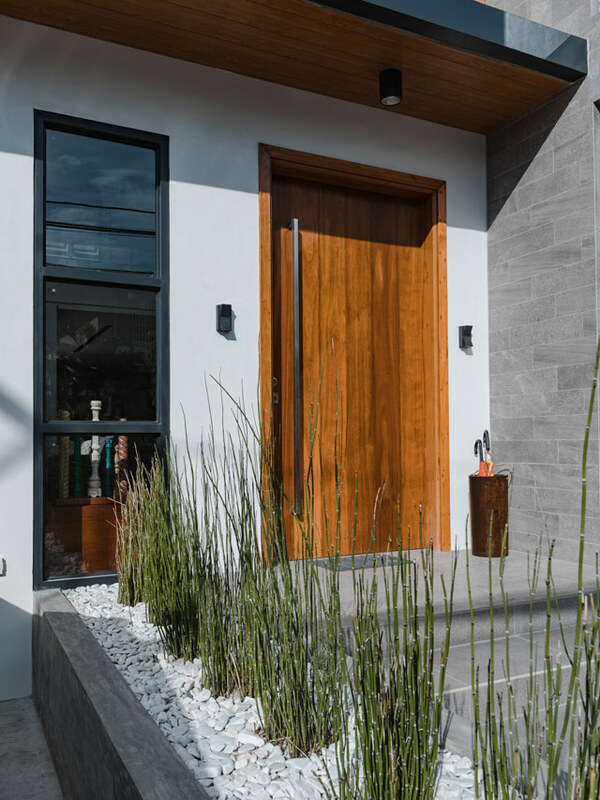 Architect Agatha Rodis created a simple but stunning wooden, Zen-style front door that goes well with the rest of this minimalist-modern house. Carvings, rivets, and panels created a multi-textured and rich look on this Spanish home’s door. You can find a similar door like this at Orientique. The restrained, abstract patterns in eye-popping colors give a Frank Lloyd Wright-inspired, Arts-and-Crafts-style look to this stained glass door. If you’re going for the Asian-minimalist look, this ribbed wooden front door gives off a modern Japanese vibe. US designer Amanda Paige is known for her monochromatic black-and-white interiors, which she often accents with a shot of blush pink, as seen here. 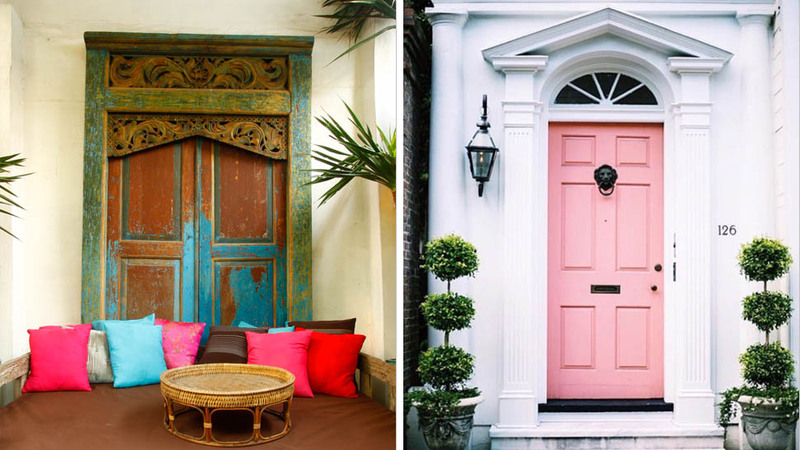 A shocking fuchsia hue will definitely rock a staid, classical white townhouse façade like this. Lemon yellow makes for an unexpected color for a midcentury modern, Palm Springs-style house. A weathered old door can be livened up with a vibrant, Mediterranean cobalt blue hue. This definitely isn’t basic black, especially when the dark shade could bring out all the architectural features of a front door.